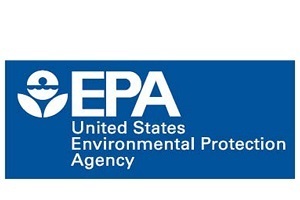 U.S. Environmental Protection Agency (EPA) issued the following announcement on July 19. Today, the U.S. Environmental Protection Agency (EPA) entered into a Memorandum of Understanding (MOU) with the State of New Mexico to clarify the existing regulatory and permitting frameworks related to the way wastewater from oil and natural gas extraction activities can be re-used, recycled, and renewed for other purposes. A workgroup will be convened to develop a white paper that synthesizes existing regulatory framework under state and federal law in New Mexico, and identifies potential opportunities for treated produced water beneficial use. Large volumes of wastewater are generated in the oil and gas industry and projections show that these volumes will only increase. In 2017, operators in New Mexico produced just about 900 million barrels of wastewater — most of which was disposed of in underground injection wells, permanently removing it from the hydrologic cycle. “New Mexico is currently the third largest oil producer in the United States and that oil is accompanied by even larger quantities of water. Clarifying the state and federal regulatory frameworks associated with its recycling and reuse is of the utmost importance,” said New Mexico Energy, Minerals and Natural Resources Cabinet Secretary Ken McQueen. “Reuse of this water in appropriate applications has the potential to relieve the growing demand on our ground and surface water sources. For that reason alone, this effort makes absolute sense,” said New Mexico State Engineer Tom Blaine. “If there are better, viable uses of this water, it is important to ensure the framework is adequate to both facilitate reuse and protect public health and the environment – this MOU targets these objectives,” said New Mexico Environment Department Cabinet Secretary Butch Tongate. This work builds on the Oil and Gas wastewater study that EPA announced in early May. The study considers approaches to manage both conventional and unconventional oil and gas extraction wastewaters from onshore facilities, including but not limited to an assessment of technologies for facilities that treat and discharge oil and gas extraction wastewaters.